I was looking at two different Everything DiSC Workplace profiles I took several years apart. My basic C style remains, but I’ve moved much more towards the outside and towards D. What does this tell me? I believe that as I’ve aged I’ve become more comfortable being who I am, and in asserting my priorities. I’ve become more myself. I’ve also become much more comfortable moving into another style. So while I don’t typically seek out collaboration, for example, I am not ill at ease working that way. I’ve accepted that I’m introverted and that it’s not a character defect, as another example. 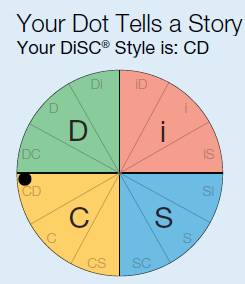 So when I see phrases on the DiSC questionnaire that might have seemed a little undesirable to me in the past, I accept them now because I know that my preference does not equal my ability. 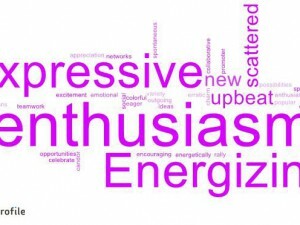 I can show enthusiasm and be supportive even if I don’t show a strong preference for those behaviors. I might go straight for facts and logic in an argument and be uncomfortable around strong emotions. I have learned to give myself and others a bit of a break. 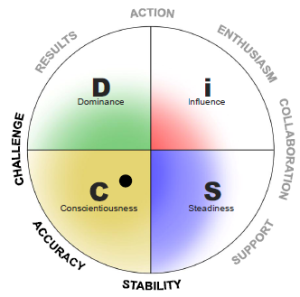 I understand better how important sharing feelings can be to those on the other side of the DiSC circle. I know that I can experience their reactions to conflict and even share a few feelings of my own. In fact, the i and S styles will be much more willing to listen to my arguments if I give them some of what they need first. I am more patient with myself, too. I schedule time for myself regularly, even during social gatherings. I need that little bit of distance to recharge and I don’t feel so weird about it. I can better explain to others that I’ll be back to join in again and I’m not angry or withdrawing because I’m hurt. I can ask others to be patient with my needs. Yes, I do tend to isolate myself so I have to watch that. I know that I tend not to offer praise or even a thank-you as often as others would like. So I pay attention to that. I can be overly blunt. So I try to learn from diplomatic S-style people I know. I feel vulnerable and a little silly when showing enthusiasm so I’ve learned to watch for how others are reacting–and it’s usually positively. 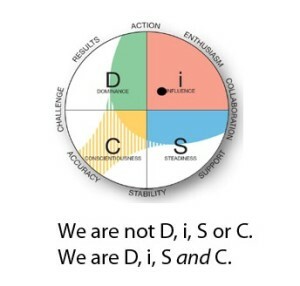 Reading The 8 Dimensions of Leadership helped me to really understand the values each style brings. I can be judgmental and I once pegged the S and i styles as ineffective leaders. (I’m so embarrassed by this now.) My lessons about the importance of networking—something every S knows—have been learned the hard way. 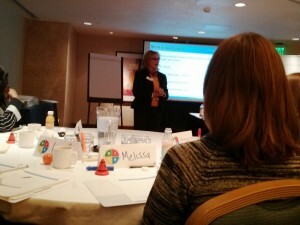 I might really like to work for an Energizing leader. I know I enjoyed working for an Affirming leader. I dismissed some of her warm and inclusive actions as being a waste of time or politically motivated. I was very wrong. I felt like she understood my individual needs and the needs of our team. She got us resources others could not or would not have fought for. I have choices about my behaviors. My priorities don’t have to dictate my actions. In fact, as I age, I want to experience more of that circle. My awareness and acceptance of my own priorities may be stronger, but so is my understanding that I can draw on each style as I see fit. I can practice being supportive, for example, and get much better at it. I don’t have to pigeon-hole myself or others. I can ask them to flex outside their comfort zone, too. very good explanation. and waiting for next post on disc profiles. can i use this assessment to help engineering students find better placements after their degree? 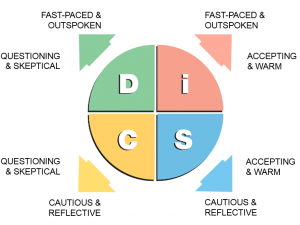 Everything DiSC Workplace isn’t a placement tool, but it can be helpful. 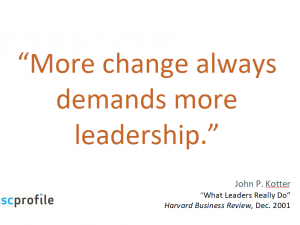 Students could gain insight into what types of organizational culture they will find most comfortable. So it might help them come up with questions to ask a potential employer. It can also help them describe themselves to an interviewer. It can help them better describe how they prefer to interact with peers or managers.